Redi-Rock is an innovative wetcast retaining wall manufacturing system, a respected brand, and the key to growing your business. Redi-Rock provides concrete manufacturers with a proven forming system, engaging training, award-winning marketing, industry-leading engineering backup, and tons of ongoing support. See why 130 other precasters, ready mix companies, and construction companies across five continents have partnered with Redi-Rock to build their empire! Like many precast business owners - you're looking to diversify your product mix. You've probably seen large block retaining walls and wondered what it could you for your business if you got involved in this growing industry. Watch the video to learn how Redi-Rock can help you grow your business while supporting you along the way! Retaining walls are going up whether you live in the mountains, on the coast, or where it’s flat as a pancake. Infrastructure development requires space, and creating usable space often requires retaining walls. 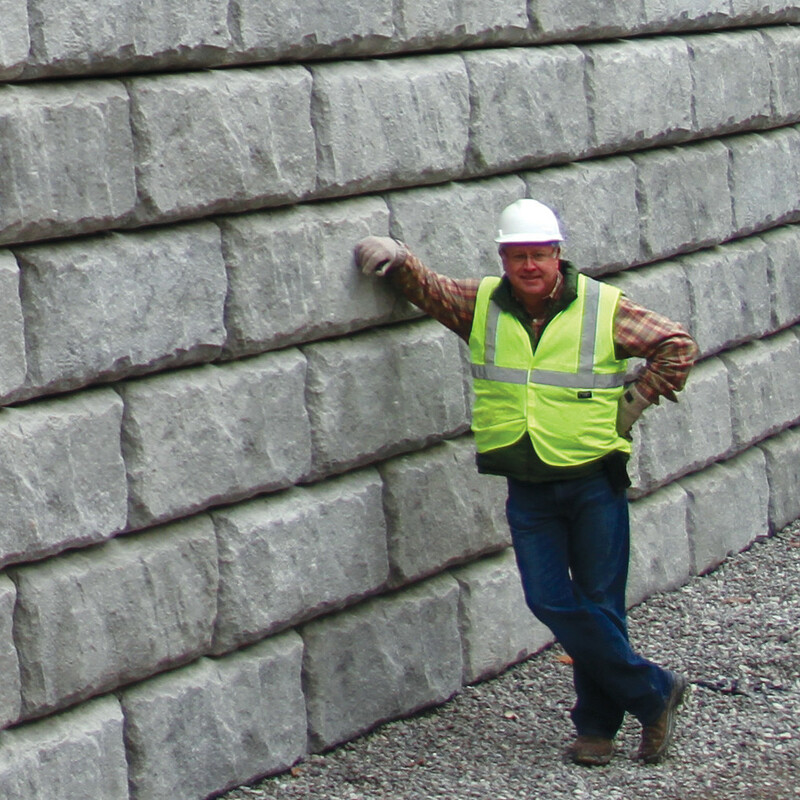 The question is—who is providing these retaining wall solutions in your market? Can you make money producing Redi-Rock? The answer is yes. However, the amount of success you’ll experience is a direct result of the work you put into developing your business. Making Redi-Rock requires equipment, production space, concrete, and a production staff. With these basics covered, the actual production process is relatively simple. Click here to learn more about how Redi-Rock blocks are made. Over 130 manufacturers in the United States, Canada, England, Northern Ireland, Spain, Australia, New Zealand, Russia, France, Algeria, and the Republic of Korea have partnered with Redi-Rock in this strategic business opportunity. View their testimonials to learn why Redi-Rock is a good fit for their businesses. "We started in the Redi-Rock business in 2006, mainly because we were looking for some alternatives to what our everyday business was. We already had a lot of the construction equipment we needed to do the installs with so we thought this would be a good tie in because we could manufacture blocks and do installs as well." Vice President of Redi-Rock K.I.T. You might be wondering just how much an investment in Redi-Rock would cost your business. We’d love to help you find out. Fill out the form below and we’ll get in touch with you. We like you, and we hope you like Redi-Rock! That's why we want to keep you up to date on new product information, case studies, engineering resources and more about once a month. Remember, you can hit 'unsubscribe' at any time!